TWLOHA – R U Ok? As Wednesday swings around again I am linking in with Trish and Tina for Wordless Wednesday. But I’m cheating a bit with a few little words…. This week is National Suicide Prevention Week which ties in nicely with R U Ok day tomorrow 13th September. A timely reminder for us all to think outside out own little worlds sometimes and to ask a simple question to those around us. R U Ok? Simple, yet effective. We’ve all struggled from time to time and I’m sure will struggle again in one way or another, and we all need support in those times. Sometimes you feel like you are the only one and crave for someone to just speak/reach out to you. You can be that person. You can make a change, a difference. Just three little words. Considering getting this inked on properly. 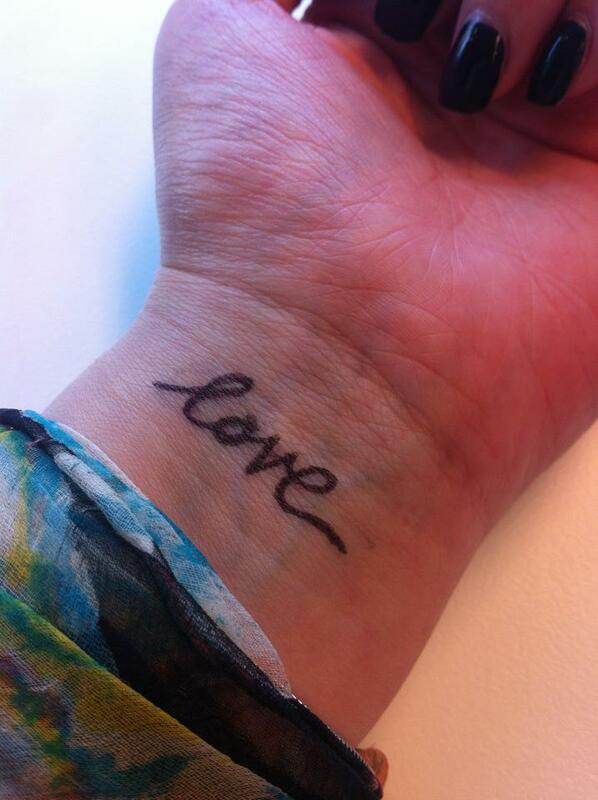 This entry was posted in Wordless Wednesday and tagged love, prevention, suicide, twloha by Meagan. Bookmark the permalink. That would be an awesome tatt! Well done for joining in such an important cause. great handwriting!!! very important cause!! Very important cause. Great idea for a tatt! My dad has struggled for many years with PTSD and depression. All he needed way back then was for someone to ask RUOk, he’s lucky that someone did!